The rumors of Floid Blue's demise were largely exaggerated. BullGoose Shaving is filled to the Gills. What a beautiful sight Phil! (11-09-2014, 06:44 PM)Giorgio Wrote: What a beautiful sight Phil! Now if we could get a coupon/discount code we could really move that Floid for ya Phil!!!! Oh my. I need a few things and this is one of them. (11-09-2014, 10:45 PM)sunflake Wrote: Now if we could get a coupon/discount code we could really move that Floid for ya Phil!!!! You could always redeem your loyalty points. I saw the photo and heard Darth Vader's theme and those Floid bottles were ranks of Imperial Storm Troopers. Phil, how does one use their loyalty points? When logged in on my phone I don't see a redeeming "loyalty points" promt. 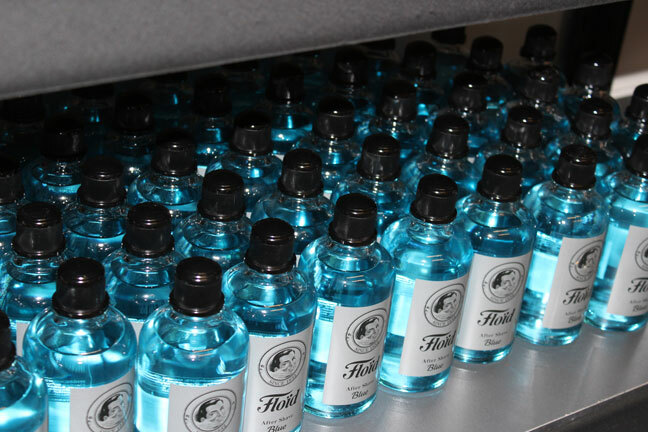 Floid Blue is one of my favorites, it's such a great aftershave. I hope it never gets discontinued, I know there has been a few scares in the past about that happening. If you log into your account, you should see the number of points you have accrued. There should be a link to redeem and that will show the various coupons that are available (depending on how many points you have). I have not tried it from a phone though. (11-10-2014, 07:19 AM)bullgoose Wrote: You could always redeem your loyalty points. Thanks Phil, Ill have to try it on a pc. I'm not having any luck with my phone. Your probably not to far off!! Johnny is a fantastic guy and offered to part with one his bottles and sell it to me just one whiff and I fell in love. Thanks again Johnny!